Bartercard actively supports its local communities through the sponsorship of a large number of community, business and sporting-based events and personalities. Bartercard does not provide any cash sponsorship. All support our sponsorship parties receive is by way of Bartercard Trade Dollars. Every sponsorship opportunity is reviewed on a case-by-case basis to see if the opportunity meets our sponsorship guidelines. If you would like to apply for sponsorship from Bartercard please send a proposal outlining all the details we would require for making a decision on your proposal. When will this event be taking place? Relevant dates and venues. 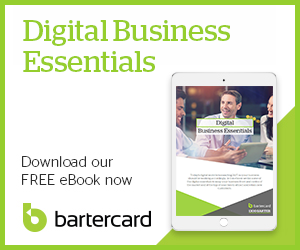 What level of support are you requesting from Bartercard? What benefits do you propose Bartercard will receive from the sponsorship? You should provide details in relation to any proposed media/advertising, details of signage, size and placement of logo, hospitality etc. Please keep in mind that we like to pursue opportunities that deliver positive exposure for Bartercard and reach our target market. Include any other information that you feel would encourage Bartercard to support your event/request. We will do our best to respond to your request within 2 weeks. Please be patient if the response to your request takes a little longer than expected as we receive many requests each month and it does take time to thoroughly review and assess all opportunities.